Bread Camp is educating and connecting growers, millers, bakers and chefs who are creating a rise in demand for local grains. This program will increase a baker’s capacity to procure and utilize regionally grown whole grains to help build and develop the regional food shed. Audience: Chefs, Bakers, and those with an interest in baking who want to gain more knowledge in the versatility of using speciality grains. Learn the how’s and why’s of working with local, heritage grains from James Beard Award finalist and head baker at Chicago’s Publican Quality Bread, Greg Wade. Experience a two-day, hands-on whole grain workshop where guests will make whole spelt pate a choux, whole wheat biscuits and 100% whole grain, naturally leavened bread & pizzas baked in a wood fired oven. Over the weekend seminar, attendees will gain knowledge of the health benefits of fermentation and whole grain use as well as the importance of developing a relationship with your local farmers. Milwaukee born and bred, Greg Wade grew up baking with his mother and grandmother, but it wasn’t until he took a baking class at The Illinois Institute of Art’s Culinary Program that he found his calling. As Publican Quality Bread’s Head Baker, Wade oversees the bread program for all of the One Off Hospitality Group, with a focus on local farm whole grains and natural fermentation. At Publican Quality Bread, Wade received a nomination for the Outstanding Baker category of the James Beard Awards in 2017. On graduation from culinary school, he worked at Taxim, specializing in bread and pastries. From there, Greg joined the opening team at Girl & the Goat in 2010. He excelled under Chef Stephanie Izard’s tutelage, and in 2013, he moved to Little Goat to oversee bread baking at Girl & the Goat, Little Goat and Little Goat French Market. Now at the helm of Publican Quality Bread’s bakery operations, Greg works hand in hand with the company’s chef de cuisines to develop new bread’s to fit each restaurant’s menu. The Spence Farm Foundation is a non-profit 501(c)3 founded in 2004 to cultivate healthy food systems. They believe that by helping to connect the key elements of a healthy food system to one another, they support the principles and practices of sustainable production that lead to personal well-being. 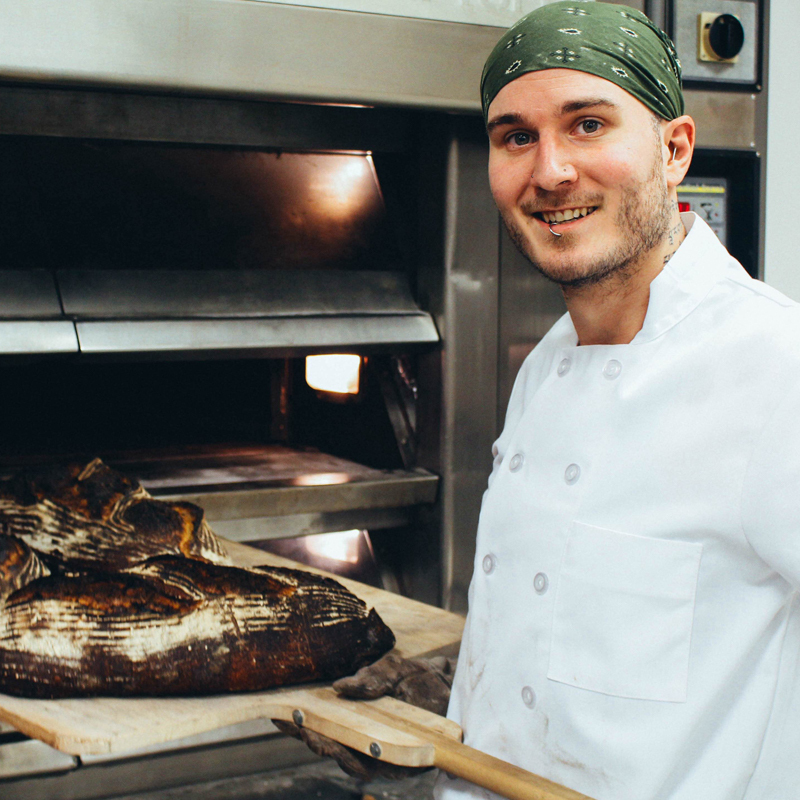 Join us as Chef and Culinary Instructor at Fanshawe College Josie Pontarelli and baker Richard Placzek from the soon to be opening The Whole Grain Hearth artisan bakery in London Ontario take us through the Sourdough Research Project they lead at Fanshawe this spring. The project focused on determining if there was a nutritional advantage for sourdough bread made with Heritage Grains like Einkorn and Spelt versus modern industrial wheat varieties used in more larger scale production. This project was just one of the many projects going on at Fanshawe College and their cutting edge research department. Bread tasting to follow, comparing heritage grains versus modern varieties. Description of Event: Join us at London Brewing Co Op for this exciting opportunity to hear how the brewing team has been working to build local ingredients into all their beers and also how they have been developing recipes for specific beers with heritage grains grown in SW Ontario. This workshop will include a flight of samples of the beers made with heritage grains followed by the showing of the newly released food documentary Sustainable, followed by a Q & A with some of the stars of the documentary to talk more on food sustainability and how we can continue rebuilding the foodshed in SW Ontario. Beer will be sold by the glass above and beyond the flight provided included in the ticket price, so participants can sample all of the 12 beers on tap featuring local ingredients. The Rhizome Institute is working across Ontario to help connect primary producers and farmers with Chefs and end users. If you are in one of these categories or plan to be in the future this networking event should not be missed. Whether you want to learn about heritage grains or find someone to supply you with them, the focus of this session is heritage grains. Other events will be held in various locations across Ontario, check the Rhizome Website for more information fruits and vegetables and livestock sessions. Description of Event: Join us to learn about heirloom corns. Corn comes in many shapes, sizes and colours; this workshop will introduce you to the opportunities, the special process of how to make corn flour for tortillas and a tasting of the freshly made corn tortillas with fresh ingredients from the Growing Chefs on site garden. Not to be missed and something for anyone who loves Latin food! Join at Jill’s Table for a Meet & Greet with James Beard 2017 Baking Finalist Greg Wade from Publican Quality Bread in Chicago. Greg will be signing copies of Sustainable and the Cheers to the Publican cookbook that was just released. Join us for this exclusive opportunity to get your very own copy of the food documentary Greg is featured in or get a copy of the newly created cookbook from Paul Kahan’s renowned restaurant in Chicago’s west loop. Cookbook and Documentary can be purchased for an additional cost. Join us to see what is happening locally, connect with people using, sourcing and developing products from regional farms and selling in and around London, Ontario. This event will be FREE to attend and open to the public at large.